Take a bite out of Love in our Valentine’s Cookie Decorating Parties available for all friends and family at Salty’s at Redondo Beach. Enjoy a little more self expression in your cookie making, join us for our Cookie Decorating Party on Wednesday, February 7th from 6:00pm-8:00pm for $30 (includes tax and gratuity) for people of all ages. For adults, enjoy our Cookies and Cocktails class on Saturday, February 10th from 3:00pm-5:00pm for ages 21+. The price is $50 (includes tax and gratuity.) These parties fill quick, but we’d love to see you. Reserve your spot now! 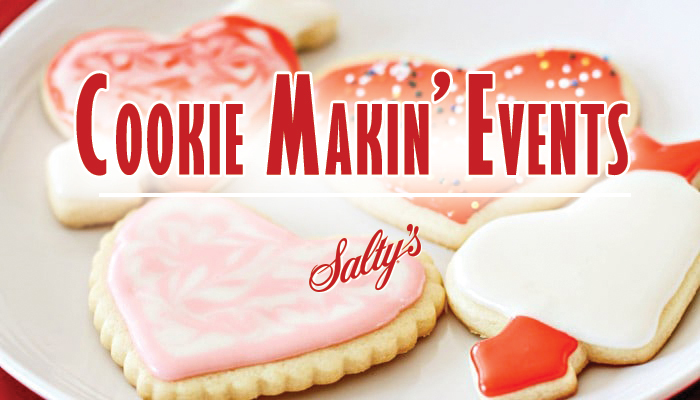 Salty’s wants you to join us for our annual Valentine’s Cookie Decorating Party available for all ages. Enjoy an evening with friends, family, and many bags of icing. Adulting never became so fun. Mixing beverages with cookie making is the recipe for laughs and a night that you’ll talk about until next Valentine’s Day. Make sure to book your spot before it’s too late.